Banner made in polymesh fabric. 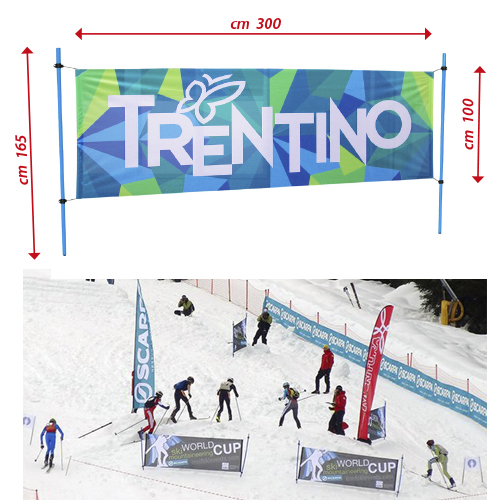 Poles to fix banner in the snow and carry bag included. Fast and easy to assemble and transport.